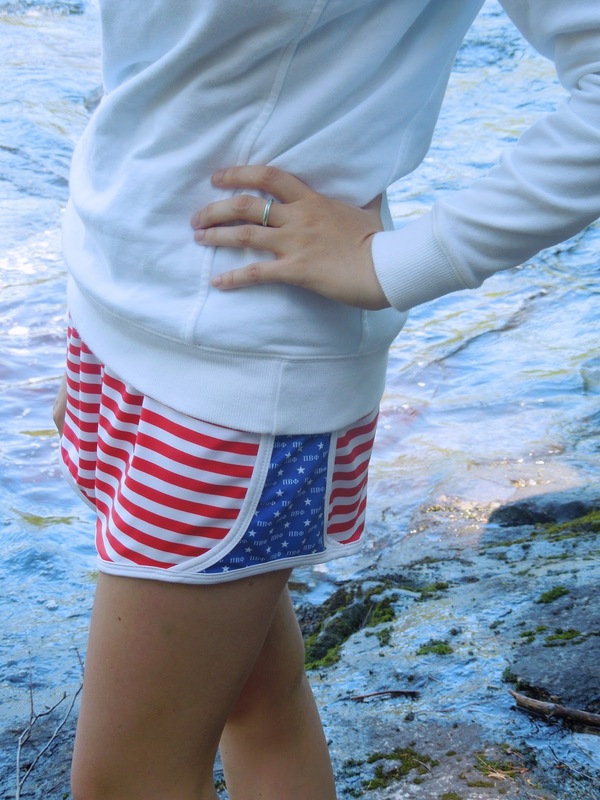 For a day of adventures in Voyagers National Park on the 4th of July I sported the perfect patriotic combination. 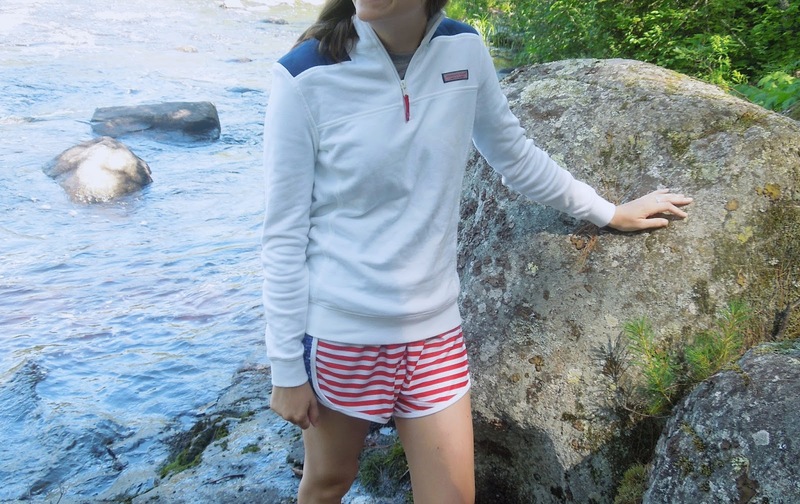 With fun flag running shorts and a comfy pull over I was comfortable, festive, and stylish all while exploring the outdoors. While hiking and exploring I like to protect my face and eyes with a baseball cap. This hat is from Smathers and Branson and sports my sorority letters Pi Beta Phi. I love this hat because of the embroidered details signature to Smathers and Branson. Krass and Co. shorts are also a major essential for me while hiking. They are uber comfortable and soft unlike any other running shorts I own! 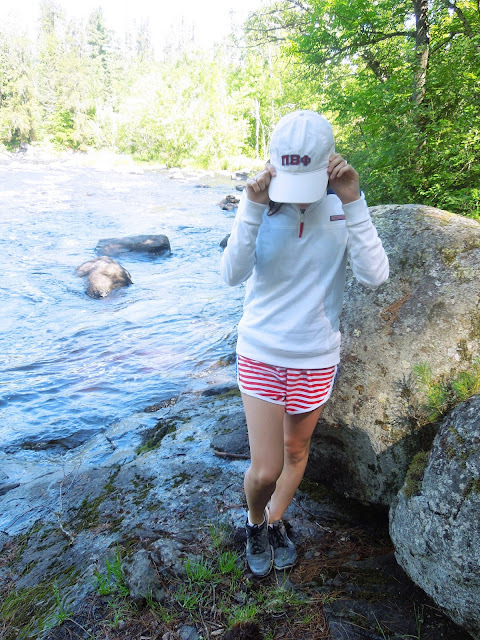 You can get your own pair of Krass & Co. shorts for a discount using the code MPOLLITT at checkout. These shorts are so worth the price and are great for working out, hiking, running, or just hanging around. 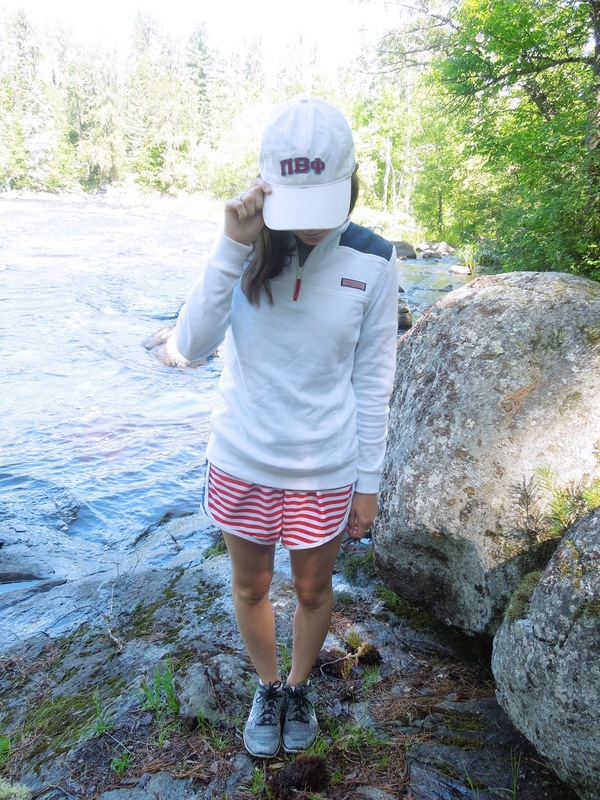 What is your favorite outfit to hike or explore in? Let me know in the comments! Such a cute look for exploring! Thank you <3 Thanks for reading!